Installing ACE Cup Mounts In Noisy Elevator Brings Peace And Quiet To Residents – ACE Controls Inc. Elevators are usually in service for several decades, so it’s no wonder they have to be upgraded from time to time. When modernizing elevators, several factors have to be considered—like passenger comfort, handicap accessibility and motor noise. In a recent application, a building elevator outfitted with a newer, larger motor was generating troublesome noise for nearby residents. Here’s how Cup Mounts from ACE Controls came to the rescue. A+G pro GmbH specializes in elevators and building technology. In addition to installing new elevators, the company provides ongoing maintenance of existing ones to ensure current safety standards are being met. As can be expected, many older elevators need to be modernized. The company recently upgraded the elevator in one apartment building to be more wheelchair-accessible. To do so, they removed the counterweight to enlarge the cabin. 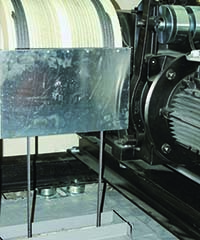 While the solution worked, it created a new set of challenges: because the balance in the elevator was no longer being compensated by the counterweight, the company had to install a larger motor. This new motor generated a lot of noise, which nearby residents could hear from their bedrooms. A+G pro needed an easy, effective and inexpensive solution to this noise problem. That’s where ACE came in. 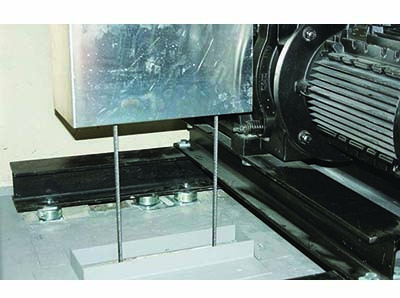 For this application, ACE engineers selected their Cup Mount (CM) product family of rubber-metal isolators, which work by isolating the vibrations and impacts generated by machines and motors. These components are characterized by their robustness, compact size and customizable installation length. They can be tilted in the x, y and z axes and can be used for all loads, including shear, compression and tension, up to 750 kg. Once engineers installed the Cup Mounts in the elevator, all motor noise subsided. Not only did the elevator meet industry standards, but the nearby building residents could sleep soundly once again.